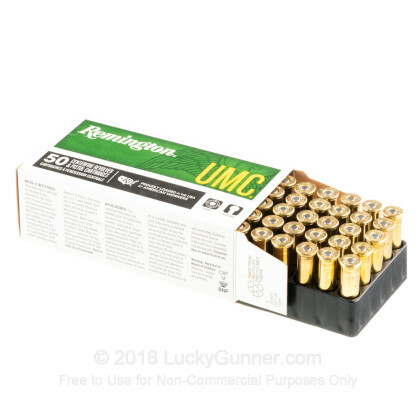 The UMC ammo brand dates back to the mid 1800s with the Union Metallic Cartridge Company. They merged with Remington in 1912 to become what was then called Remington UMC. 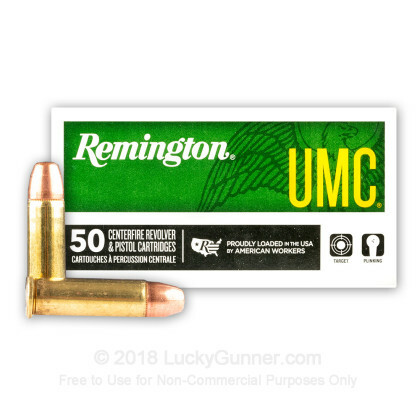 Eventually, the UMC part was dropped in the company name, but Remington started using the initials to refer to their value line of target and range ammo, which is now one of the most popular in the country. The ammo we tried out for this review is one of the many UMC revolver loads, a standard velocity .38 special. It features a re-loadable brass case with a non-corrosive primer. 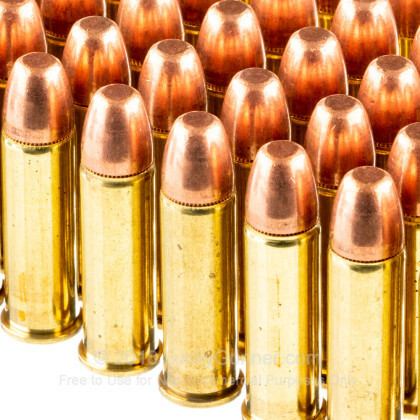 The 130 grain bullet has a lead core with a copper full metal jacket. Remington calls this a metal case, or MC, but it's the same as the traditional full metal jacket. 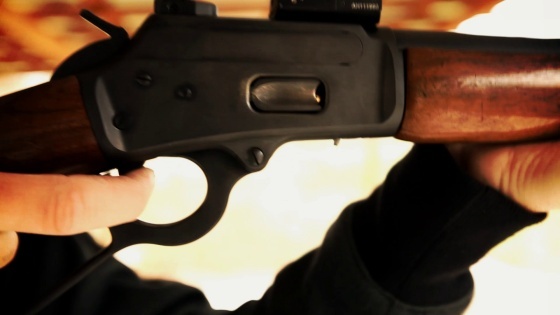 The flat point on this bullet makes it safe to use in rifles with tubular magazines. We ran this ammo through six different guns, including five revolvers and one lever action carbine. We didn't have any ignition or extraction problems in any of the revolvers and the Marlin 1894 fed each round smoothly. Recoil is mild and works just as well in a heavy rifle as it does in a small lightweight stub nosed revolver. This is an excellent load to shoot if you just want to have fun at the range with some rapid fire, and it's also a good way to introduce new shooters to a center fire load. Many of the light recoiling loads available use lead round nose bullets, which are O,K but could be a little dirty. The jacketed UMC bullets don't have this problem, which is convenient if you're like me and always put off cleaning your guns. Accuracy was outstanding, which we tested from a bench rest at 20 yards, using the Marlin carbine. This rifle was already zeroed for 38 loads at 25 yards, so it's no surprise that we were hitting right dead in the middle of the point of aim. The ten shot group made one big hole, but measured just under an inch across. 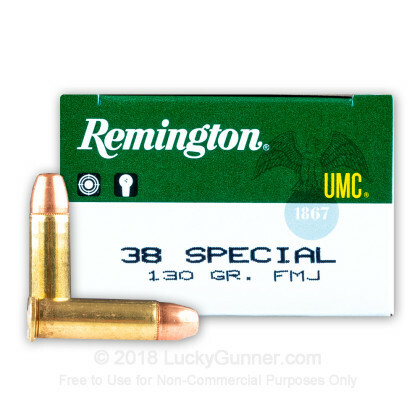 Remington UMC is a favorite at shooting ranges all over the country, and this 130 grain, .38 special should be on your short list for low recoil, fun plinking ammo. I shoot a wheel gun - the Ruger LCR .357 magnum and I haven't had any issues with this ammo. They eject out of the cylinder fine. I've shot other ammo where I would occasionally get a casing stuck the cylinder chamber. Didn't have that issue at all with this ammo. Ammo shot great, no issues at all. Delivery was fast. 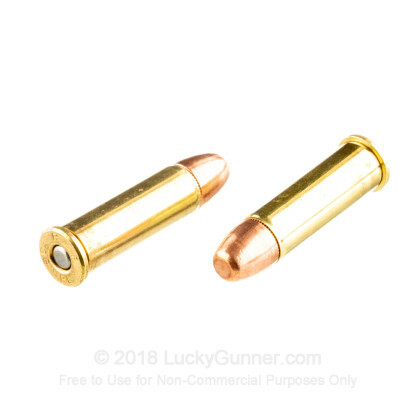 I really like shopping at LuckyGunner.com. Delivery was fast and the boxes were in great shape. No issues with ammo functioning in my SP101. Used it for trigger time and shooting IDPA bug gun match. Works well to hone shooting skills. 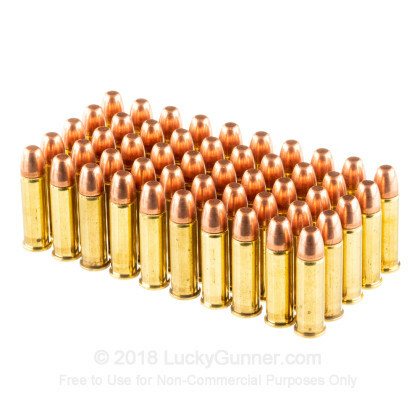 Q: WILL these receive the "Moon Clip" The recess in the OD at the head stamp is not the same on all 38spl rounds. do you know if Remington rounds will work in the "Moon Clip" ? I so I will order 1k of them. A: The Moon clip will not be needed with the .38 special because it is rimmed for use in revolvers. The moon clips are only needed if you are attempting to shoot a rimless cartridge in a revolver. We also have this 38 Special - 130 Grain MC - Remington UMC - 50 Rounds ammo in stock in a smaller quantity.